Ever woken up to the horror of an angry zit in the morning? The worst thing is, they always seem to appear right before an important event – think a job interview where you need to look all prim and proper. As tempting as it is to pop those nasties, you’re only risking an infection that could jeopardise your chances of leaving a good impression on your potential employer. It’s stressful having to deal with breakouts before an interview, but this all-in-one solution will help to combat breakouts effectively before your big day. 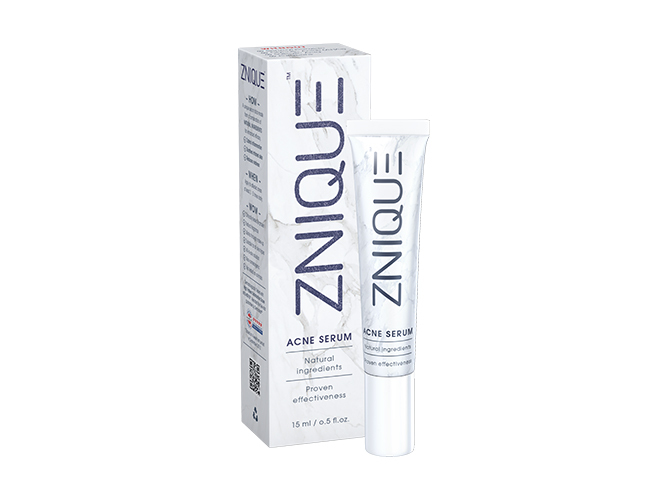 Before acne rears its ugly head, fix it fast with the ZNIQUE Acne Serum. This revolutionary solution is clinically proven to get rid of skin inflammation-causing bacteria in as little as two hours. And you have the five-star guarantee of its effectiveness by leading German research institute Dermatest, so you know you’re getting the good stuff. Forget about the traditional three-step acne treatment method: this multi-purpose wonder does it all – from calming inflammation to soothing irritation to reducing redness, all while acting as a barrier to protect your skin against external aggressions. Don’t just take it from us: check out these reviews! Unlike the typical over-the-counter treatments that contain Benzoyl Peroxide, Salicylic Acid and Sulphur, it’s made with natural ingredients such as chamoile flower and sage leaf extracts, which are specifically selected for their unique properties that help to reduce acne. The result is a superbly gentle formula that doesn’t dry you out, which makes it great for even people with sensitive skin. Now, you’ll feel fresh, clear and ready to take on the day! This post was brought to you by ZNIQUE. The ZNIQUE Acne Serum is retailing at $29.90, available at all Nishino Pharmacies (Shaw House, Takashimaya, Westgate and Liang Court) and online at www.zniquesg.com. 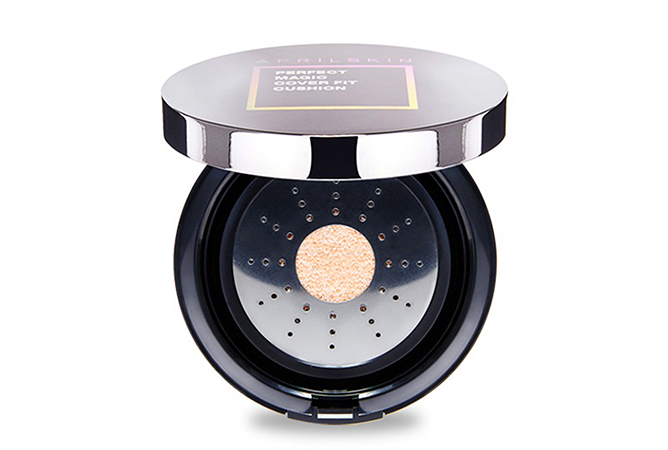 Getting that coveted K-glow is just a puff away with these cushion compacts! Whether you’re going for a dewy look or a matte finish, we’ve got you literally covered with a few of our favourite cushion makeup products in the market right now. The cult makeup brand’s foundation game is already hard to beat, and even more so now that it has expanded its cushion range. Boasting 12 hours of breathable coverage, this soft- matte formula is perfect for those who prefer a more subtle velvety finish that feels comfortable on your skin. What’s more, it comes packed with organic and mineral UV filters that work in tandem to protect you from harmful rays. What’s not to rave about it? Who doesn’t like collecting pretty makeup? 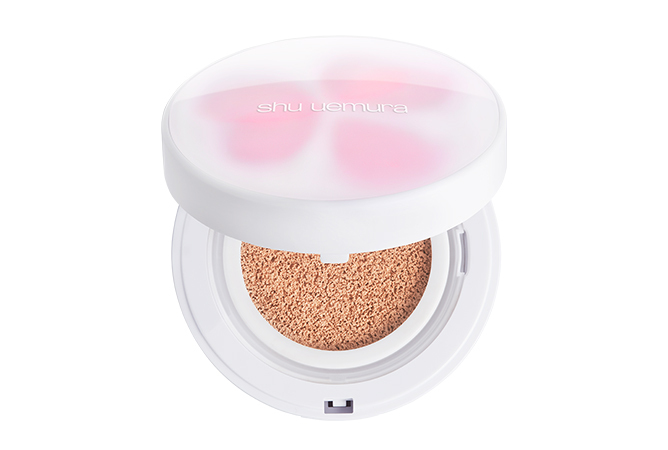 It’s impossible to resist the springtime-worthy packaging of this sakura-infused beauty, which is fittingly formulated with petal skin cushion technology to leave you feeling and looking fresh like flower petals. 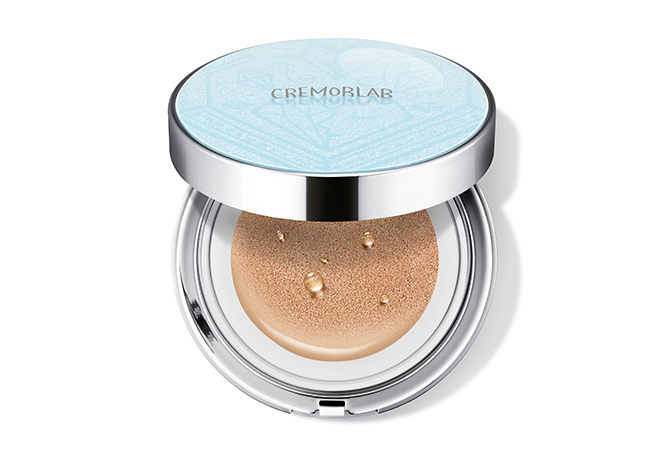 Its unique liquid-to-powder formula blends like a dream and dries to a matte finish that doesn’t dry you out, thanks to the ingredient of deep sea water which helps to keep your skin hydrated. One layer of this long-wearing formula is all you need to guarantee complete, flawless coverage up to 24 hours. Sounds too good to be true? We thought so too, but it really works. You don’t have to worry about your foundation creasing or caking up midday either, as it comes infused with water drop serum to deliver essential moisture to skin. In fact, it’s so hydrating that you can even see water droplets seeping through the puff when you press onto the metal plate! For those with oily or acne- prone skin, it can be hard to find a good foundation that doesn’t melt off after a few hours. Look no further than this innovative cushion, which is specially formulated to cool down your skin’s temperate by 3°C – all while keeping shine at bay. The best part? While other mattifying products tend to feel caked- on, this one is anything but heavy and doesn’t clog up your pores at all. 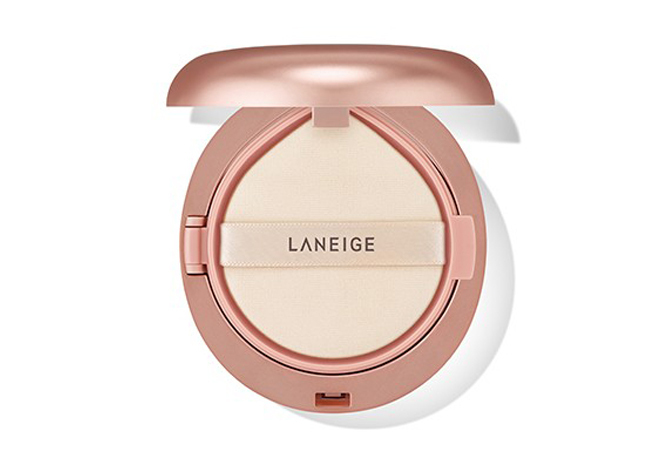 What’s better than one cushion compact? Two-in-one, that’s what! With this double-duty trooper, you can save major space in your makeup pouch by packing in two items – Any Balm Blur, Any Balm Hydro-Radiant, Any Balm Concealer or Any Balm Cheek ($9.90 each) – into one compact case. What’s great about this dual- function concept is that you can easily switch out the products needed for the day and touch up effortlessly on the go. How convenient is that? A concealer and cushion in one sleek product, this multitasking wonder provides medium to full coverage that you can easily build up with the layering puff – which allows you to achieve a matte finish with the velvet puff, or a naturally radiant glow with the air puff. Yet no matter how much you pile on, it’s amazing how this stuff will always look like skin. Talk about ‘My Skin But Better’! 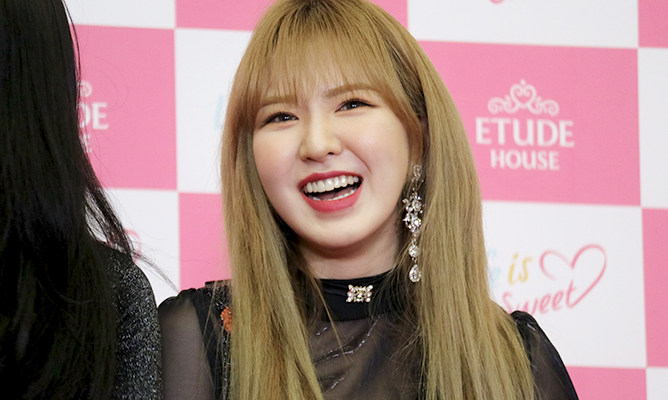 As if we’re not obsessed enough with ETUDE HOUSE, the K-beauty brand just gave us more reason to love them even more – by enlisting trending K-pop darlings Red Velvet as their new ambassadors. 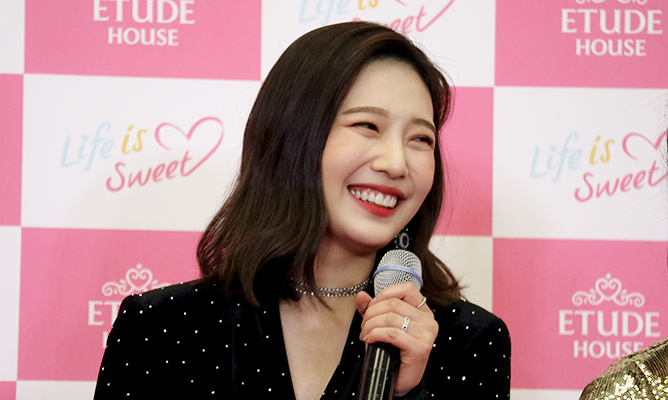 Definitely not one to disappoint with their new launches, ETUDE HOUSE dropped the all-new Matte Chic Lip Lacquer in collaboration with the ladies of Red Velvet – a series of “lip lockers” that are touted to be extremely long-lasting and super pigmented with a matte finish. 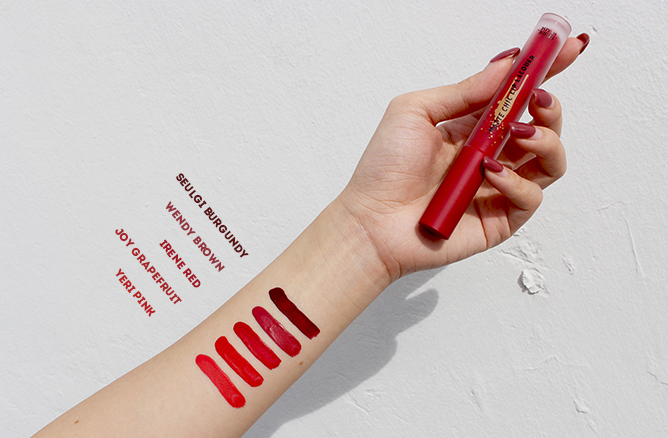 There are a total of 12 shades in the entire range, featuring five signature shades inspired by each member of Red Velvet: Seulgi Burgundy, Wendy Brown, Irene Red, Joy Grapefruit and Yeri Pink. The collection is only available in Korea for now, but fans in Singapore will finally be able to get their hands on these babies in June! 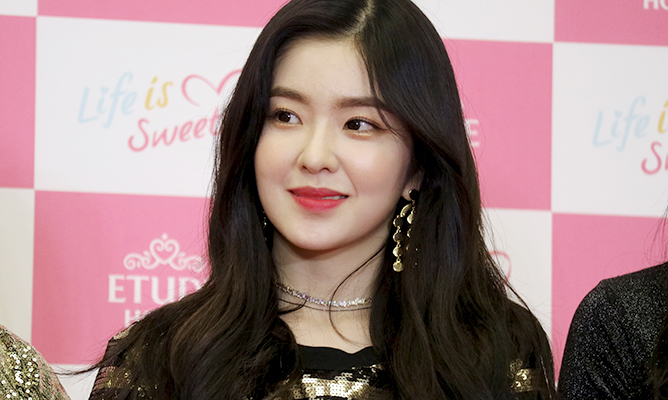 Ahead of its launch, the Teenage team got to try out the new RV-approved lippies during our trip to Korea for the Sweet Dream Tour – here’s our review. True to its claims, all it takes is just a single swipe to achieve such insane colour payoff. 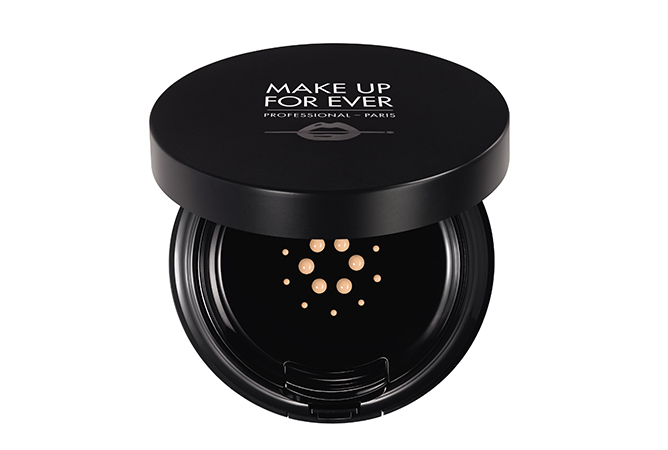 It goes on matte and dries down in an instant, locking in the colour pigments within seconds of application and stayed put all day without budging. Like most liquid lipstick formulas, it has the tendency to feel a tad drying on the lips if you’re prone to chaps – but it’s nothing a little lip balm can’t fix so be sure to load up on the moisture before slapping on lippie. You can either wear it as a full lip or go with a gradient look; we went with a gradient mix of Wendy Brown and Yeri Pink while we were in Korea and we loved the combo. 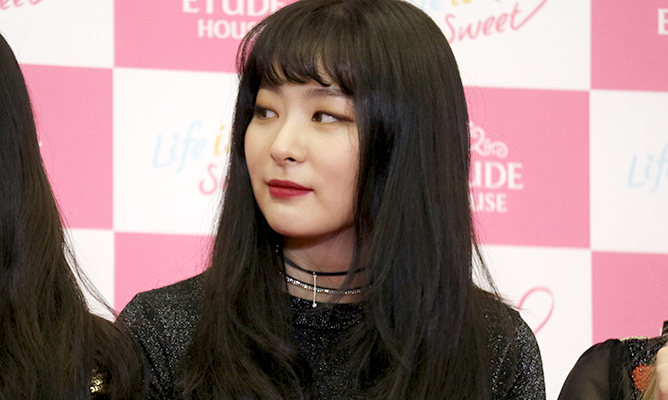 However, our favourite shade has to be Joy Grapefruit which looked absolutely stunning on the Red Velvet member when she sported it on an episode of her recent K-drama Great Seducer (or Tempted). 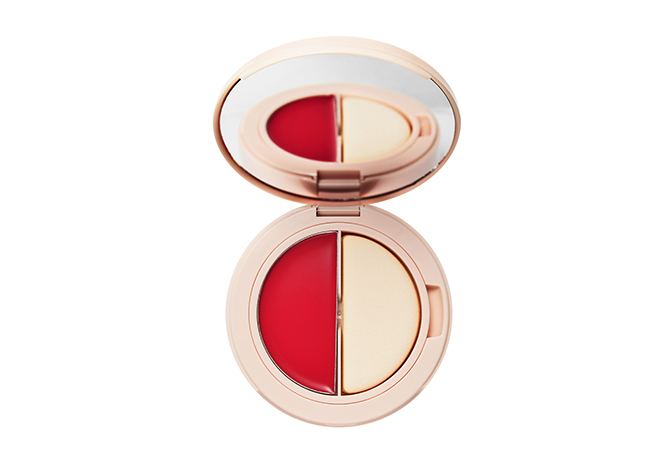 It’s an ultra-flattering poppy red tone that works on every skin tone and is perfect for the summer. Pro tip from Joy: it can also double as a blusher for that flirty, flushed look! Check out the Red Velvet members rocking their signature shades. How gorgeous do the Red Velvet girls look? Now you can proudly show off that you’re wearing the same lip colour as your favourite K-pop girlie! The Etude House x Red Velvet Matte Chic Lip Lacquer will be retailing at $19.90 each at all ETUDE HOUSE stores islandwide from 1 June 2018. Is it just us – or does Sandara Park (aka Dara) just never seem to age? Even though she’s already in her 30s, the fresh-faced K-pop star could easily pass for a twentysomething in her prime years. In town to film for the new four-episode series Get It Beauty On The Road alongside local actresses Chantalle Ng and Tay Ying, we couldn’t help but admire Dara’s ever-so-youthful glow throughout the entire press conference. Ahead, the K-beauty icon reveals her tricks to staying young and looking fabulous – just like her! While many celebrities tend to fall into the trap of getting tons of expensive beauty treatments and plastic surgery procedures, Dara swears by this simple and completely accessible product to achieve her signature glow. “I don’t look like this when I wake up (laughs). What I do is I put on a face mask every night. I try to do it every day even when I’m tired because it only takes 10 to 15 minutes. After a long day, we need some treatment to repair our skin while we’re sleeping.” Now, this is a beauty routine we can actually all follow! “Only three? Is that possible?” she remarks, ultimately deciding on using a face mask to prep her skin before applying BB cushion to look fresh and camera-ready. She finishes off with a lipstick – which can also do triple duty as a blusher and eyeshadow. Get It Beauty On The Road starring Sandara Park, Chantalle Ng and Tay Ying premieres 10 July 2018 (every Tuesday) at 6.30pm on tvN Asia (StarHub TV Ch. 824 & Singtel TV Ch. 518/619) and 8pm on Hub E City (StarHub TV Ch. 111/825). THEFACESHOP certainly knows what they’re doing when it comes to their packaging game, and it’s clear the K-beauty brand isn’t here to play with their latest lineup. In collaboration with beloved bevreage brand Coca-Cola, THEFACESHOP fizzes things up with an all-new range of products – all decked out in Coca-Cola’s signature red hue. The collection includes an eyeshadow palette, a cushion foundation, a powder pact, lip tints and lipsticks. We’re particularly excited to get our hands on the Coke Bear Lip Tint ($21), which comes with a Polar Bear figurine encased in a snow globe topper; and the Coca-Cola Lip Tint ($17), which features a red and white striped straw as the applicator – reminiscent of sipping an ice-cold cola out of a paper straw. To sweeten your experience, these ultra-adorable lippies are made to even smell like coke so consider your fizzy drink cravings satisfied! Click through the gallery to check out the full offerings. THEFACESHOP X Coca-Cola Collection will be available at all THEFACESHOP stores islandwide from 8 June 2018.